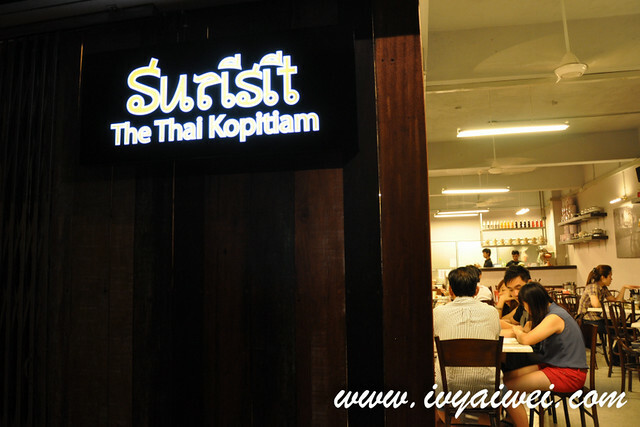 I have heard/read so much about this no-frills Thai kopitiam – Surisit; tucked in one corner in the TTDI neighbourhood, serving authentic Thai dishes in this hawker-liked/ kopitiam environment. 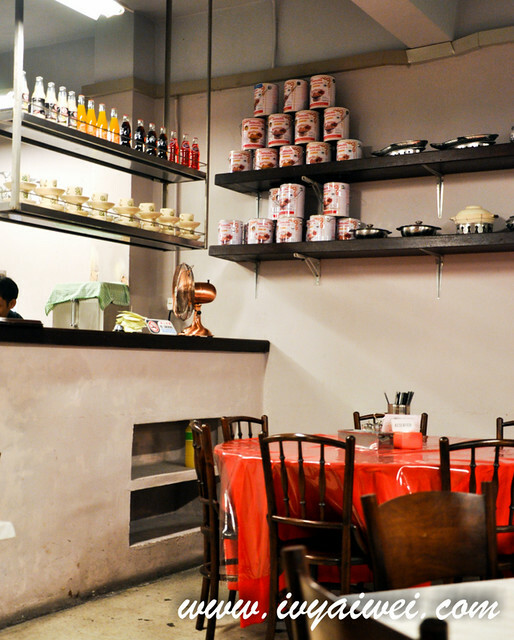 Simple décor with marble-topped tables, wooden chairs, and utensils and variety of seasonings on the tables; decorated same as how it looks like in those kopitiam in Thailand. For the appetizers, we had the Yam Pla Duk Foo Ma Mung (Catfish mango salad ) and Som Tam (Papaya Salad). 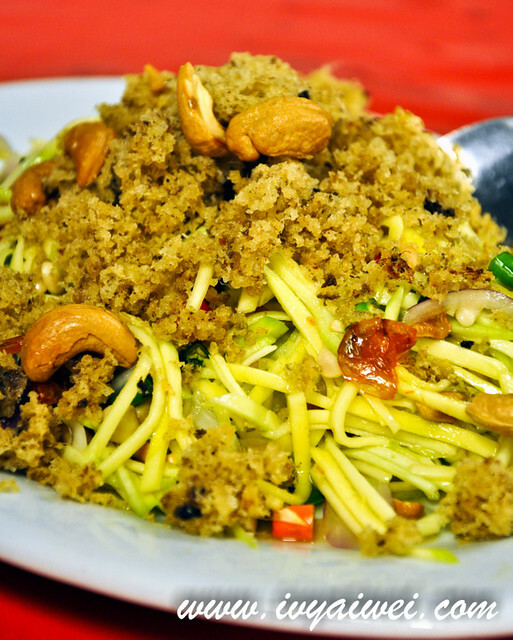 Catfish Mango salad was sourish, brimmed with deep fried crunchy shredded catfish, chilli bits, cashew nuts on a bed of fresh mango slices while the papaya salad came with lots ingredients too, such as prawns, squids and greens. 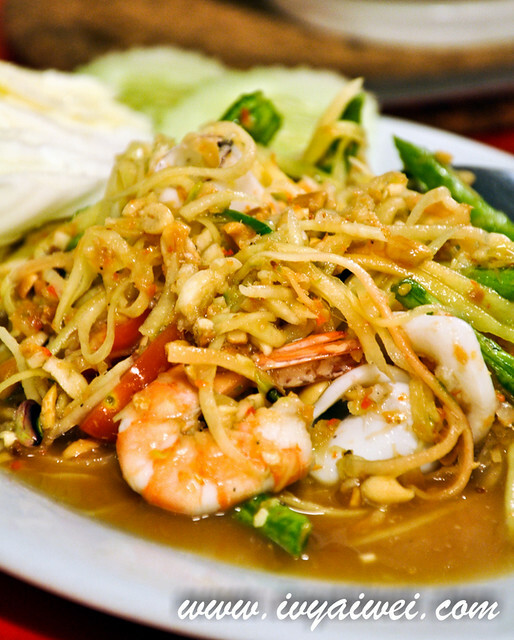 Both were appetizing; the papaya salad was fiery hot although the hotness level had been toned down. 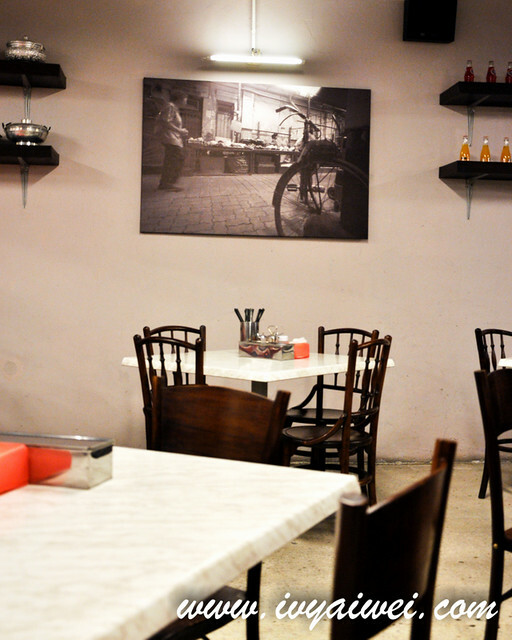 Tastewise, it was quite authentic. 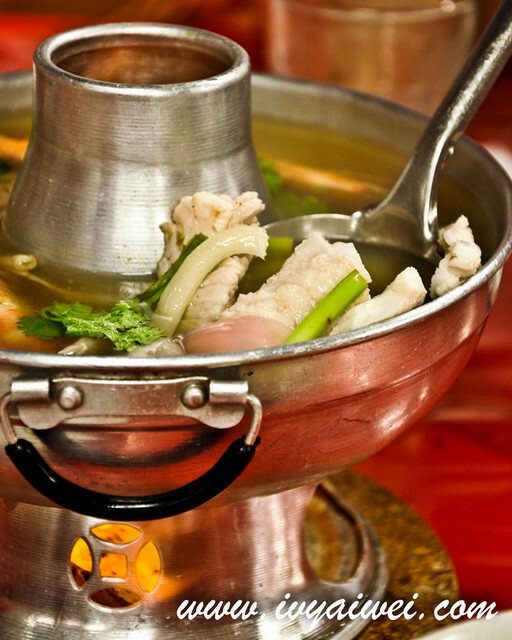 Kaeng Khiaw Wan Moo was my favourite dish of the night. 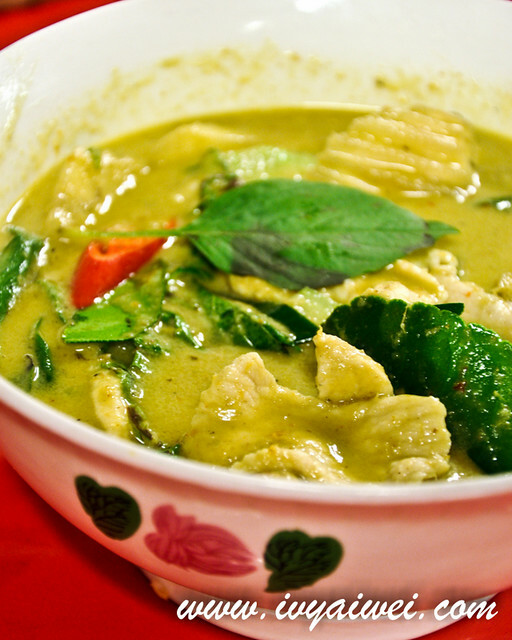 Green curry pork was aromatic with basil, coconut milk and thai spices; melon was added in it too. The whole combination was thick and rich; love the fragrant flavoured of the basil. Moo Thod Kapi was my next favourtite dish after the green curry. 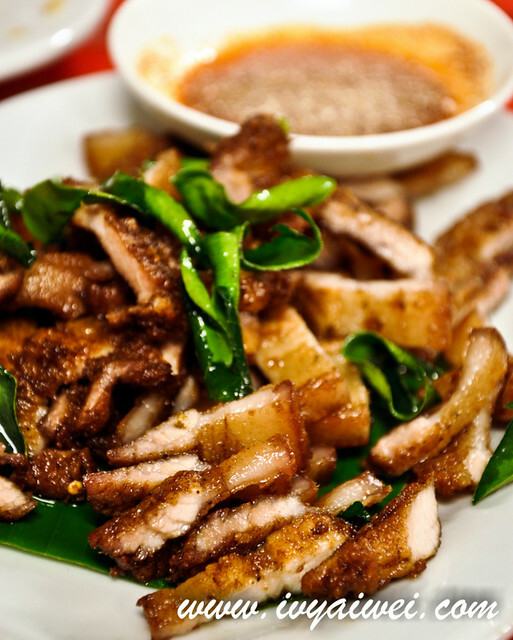 The crispy fried pork with shrimp paste, fried kaffir lime leaves and chillies was fantastic, fragrant and flavourful. Tom Yum Thalay was the spicy lemongrass flavoured soup with lime juice, with variety of seafood in it; sourish at first and spiciness came after that. Kai Hor Bai Toey / Deep fried pandan chicken was pretty amazing; big chunks of chicken were very well marinated, wrapped with pandan leaves and deep fried. 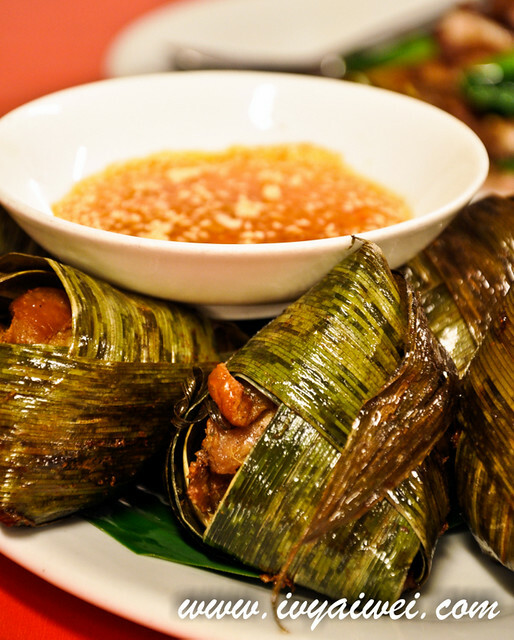 I just love the way the Thai(s) fully utilize the available herbs and spices in marinating and cooking their dishes; that brings out the alluring fragrance in the cooking that can simply fill your tummy with more bowls of rice. 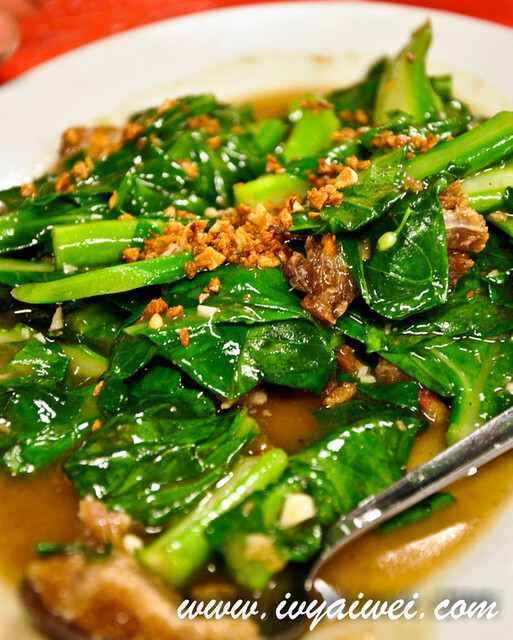 Kana Moo Krob or the Stir fried kailan with crispy pork was pretty normal and we found it quite pricey for that small portion. 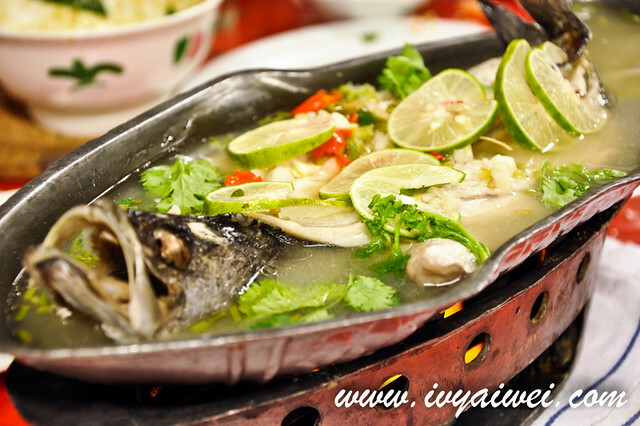 Pla Neung Prik Ma-Nao, the Steamed fish with chili lime sauce was just alright, something can be found in some Chinese restaurant. 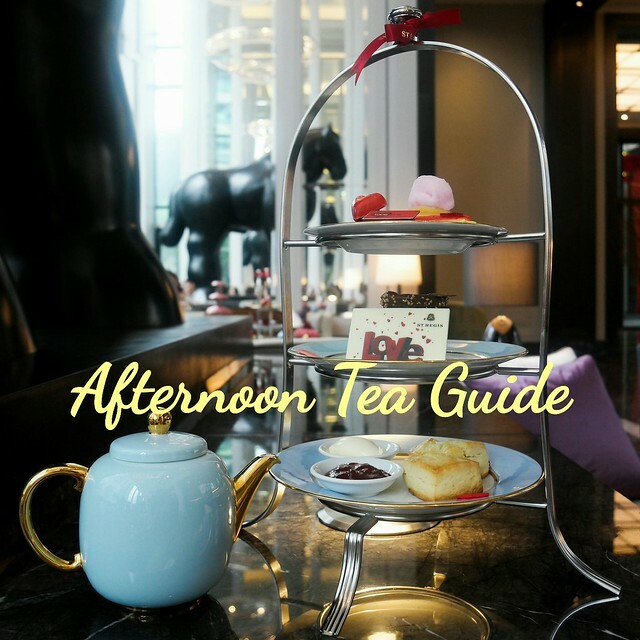 As for sweet ending, you must order the dessert – Tap Tim Grop, the red rubies served with slices of jackfruit and drenched with thick and aromatic coconut milk. We love this lot and it was very much fragrant, yummier than I’m Spicy Thai’s version. 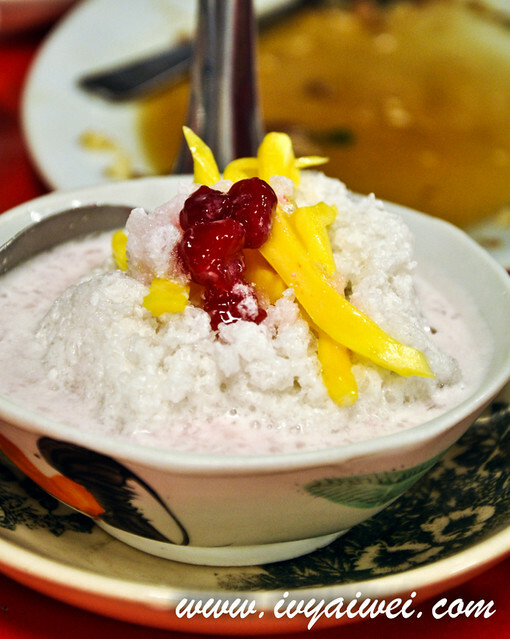 While Khaw Niau Ma Muang, the glutinous rice with Mango served with coconut milk was a let down. 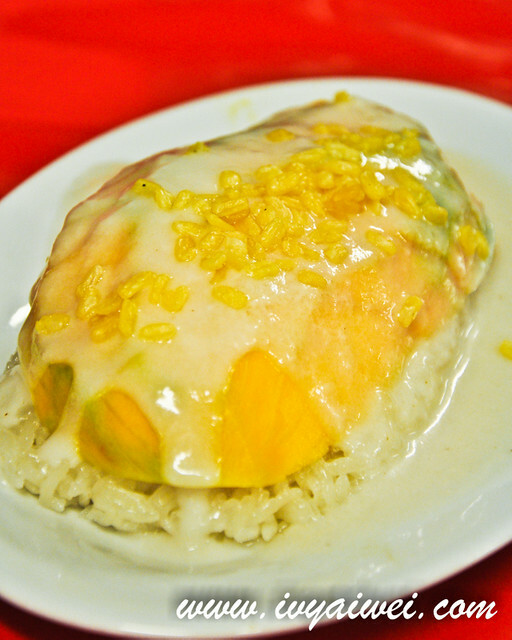 Guess it wasn’t the mango season; the mango served was too ripe, too green and too hard to go with the rice. I really do have to explore that side of the city more!